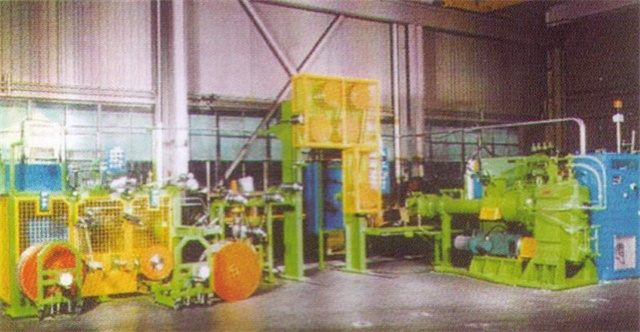 Rimpex Rubber supplies tyre machinery including bias OTR tyre tread winding equipment, radial OTR tyre tread winding equipment, laser speckle tire non destructive inspection system, laboratory intelligent internal mixer, internal mixer intelligent control system, tire tread contour cross section pattern figure detection inspectioin system, tire abrasion wear detection and analysis system,single roller die head, machine head, aircraft nose, pin cylinder barrel cold feeding extruder, conical twin screw extruding sheeter, conical twin screw extruding sheeting mill, up-stream equipments feeding system, tyre tread tire sidewall duplex extruding train line, rubber roller calender, complex extruders, right angle 90 cord fabric auto cutting splicer, tyre bead ring wrapping machine, tyre bead expanding inner appearance inspection machine, multi blade slitter, multitool longitudinal cutter, horizontal radial tyre apex applying to bead ring machine, polyethylene liner rubber belt big roll rewinder, tyre bead wrapping machine, all steel radial tyre coated cord fabric longitudinal cutting machine, tire cord ply vertical slitter, green tyres internal external surfaces lubricant isolating agent spray painting machine series, tyre parallel steel wires belt breaker cementing extruding line, tyre cord fabric vertical cutting production line, tire textile ply slitting production line, tyre apex strip extruding applying-up bead ring production line, tyre bead ring tire apex application Joint production line, all steel radial tyre apex apply-up line, finished tyres edging machine, tires letters colors recurrence, automatic weighting proportioning distributor, tyre enterprise MES manufacturing execution system, etc. 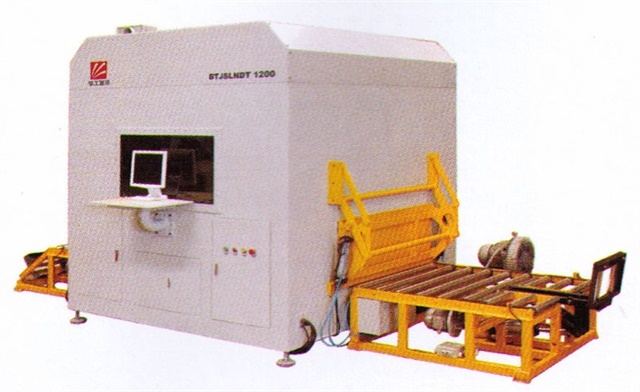 Brief Introduction: BTJSLNDT series tire speckle and nondestructive laser testsing system is a new generation tire nondestructive test instrument that was researched and developped by China engineers. 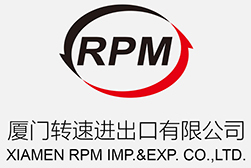 It is applicable to the tire quality detection in design, research and production enterprises, especially system becoming the most effective means to control the quality of aviation tires, steel radial car tires, and OTR tires. 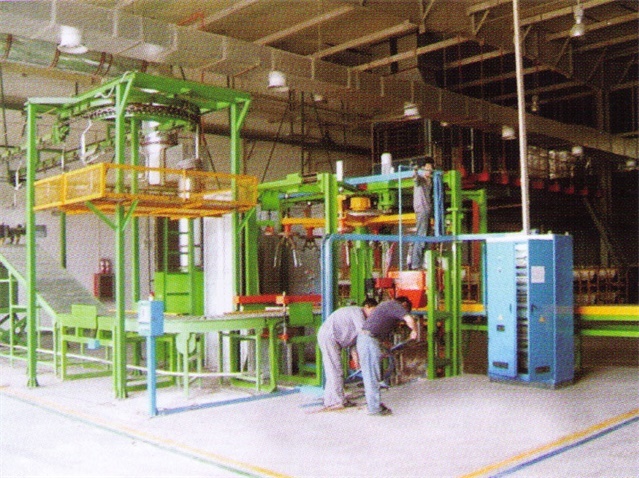 It also applies to retread tires, being an ideal device for test classification prior to tires retreading and quality test after retreading. 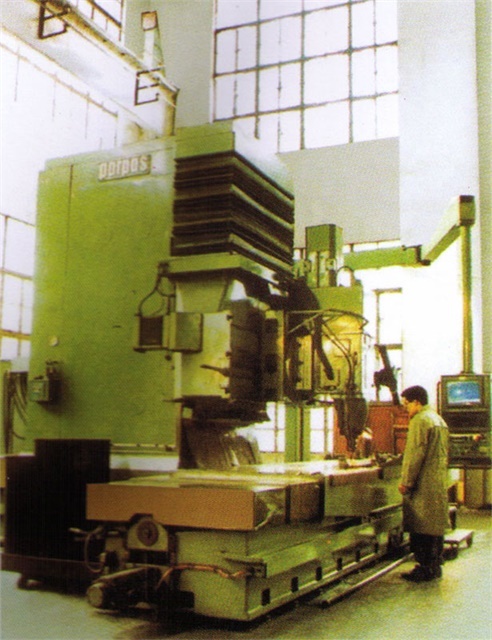 This system is mainly used for detection of such defects as bubble and layers separation to prevent detective tires leave the factory, thus ensuring the safety of plane flight and automobile driving. Usually according to the circumstance 360 angles, the surface of the tire can be divided into 6-12 sectors. 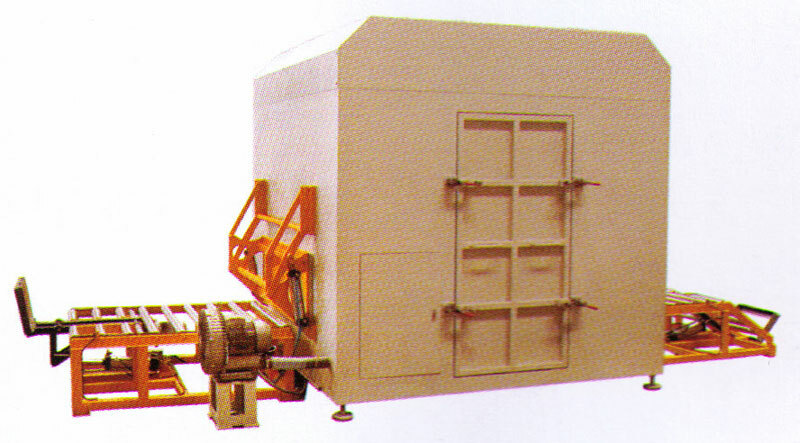 Tires are delivered to a vacuum case horizontally before test. 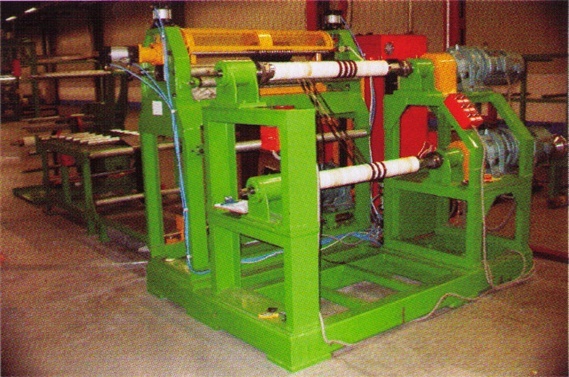 A measure probe stretched into the tire case and automatic placed for testing. 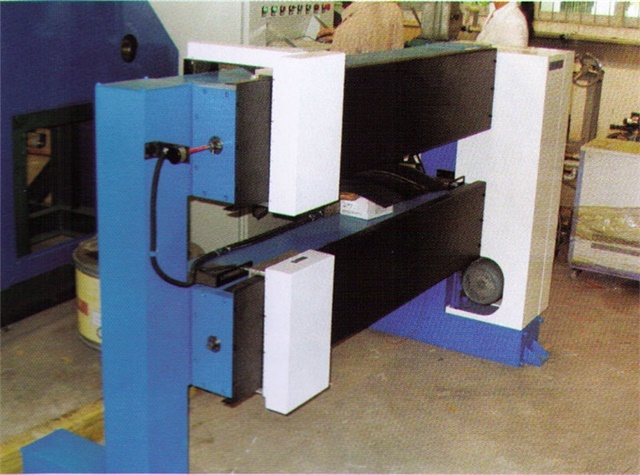 This system has the high adaptability, it can measure any tire of different external diameter and sectional height. It also can take pictures outside. 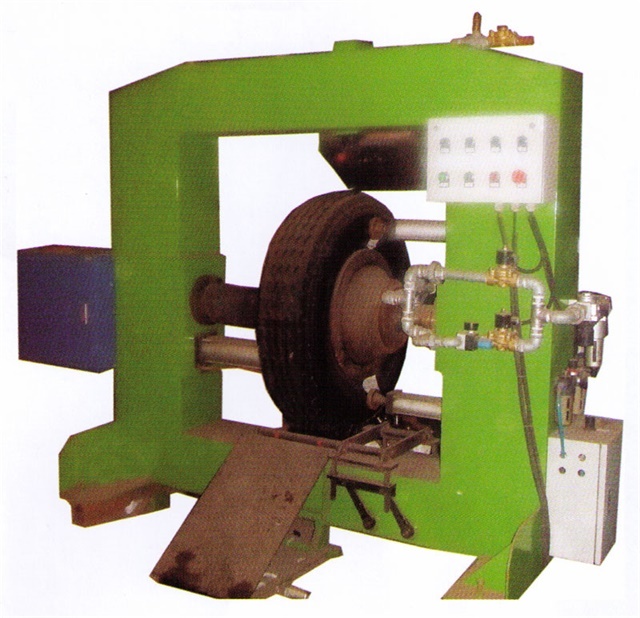 The system can detect the tire inner defects and cause tire to attain high security standard, especially in the retreading industry, because any unqualified tire will be vanished in the pretreatment, so to avoid wasting manpower and resource and economy lost. 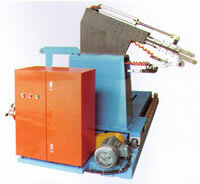 After tire retreading, this equipment can detect the quality of the retreading tire whether up to the control equipment. 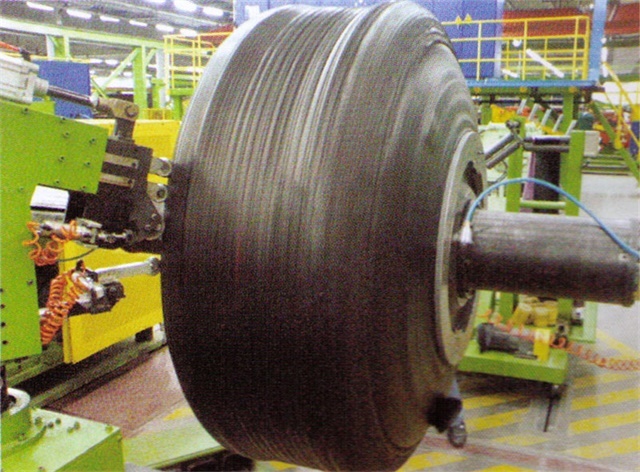 Applications: Apply to the aviation tire, car tire, trunk tire, OTR tire and retreading tire, not only for radials structure, but also for bias, besides the system also applies to the measurement of compound material articles. 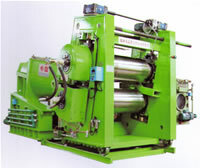 Tire carcass temperature is utmost 10 degrees Celsius higher than environment temperature. 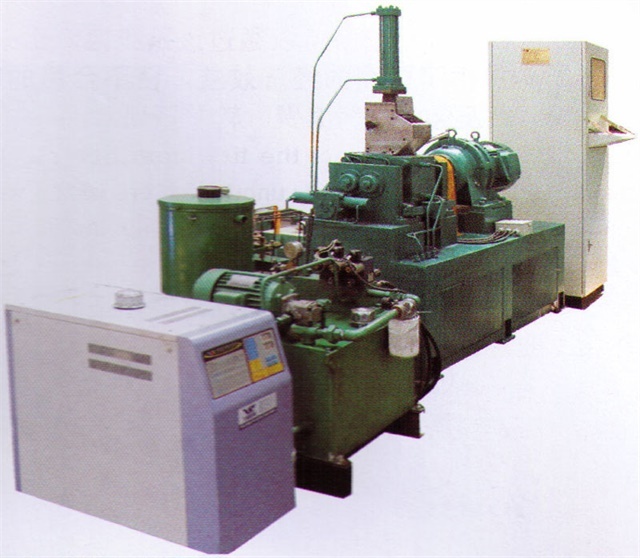 This system can record the moment power curve and relevant parameters of the entire mixing process of compounds, thus easy to analyze various properties of mixing rubber, and online predict the plastic (viscosity) value and dispersion index of mixing rubber. It is able to indicate curves of instantaneous power and temperature, shifts, operators, production time, variety of rubber kinds, production interval, auto or manual status, category of current action and type of full-auto failure to lead the mixer full auto mixing and to ensure the fluctuation of Mooney viscosity within +/- 4 (for 90% or more, controlled within +/-3) to increase dispersion by one level (stages mixing) as compared wtih the original process. 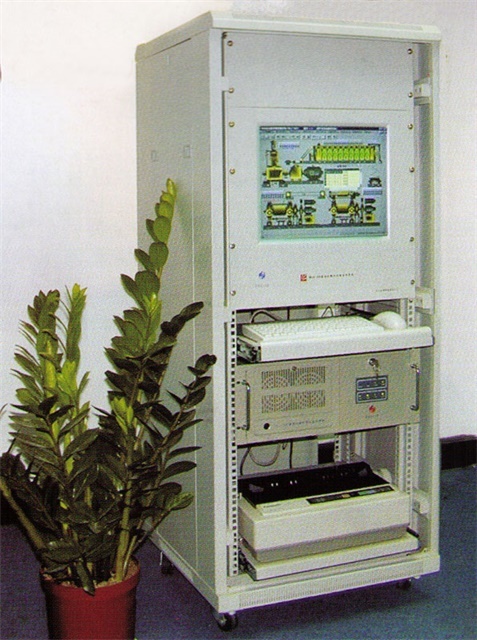 This technology optimization can raise productivity by more than 5%. Accurately measuring and recording tread contour (including width, thickness of each point and tread contour). Geometrical size and shape of tread can be displayed on the spot. 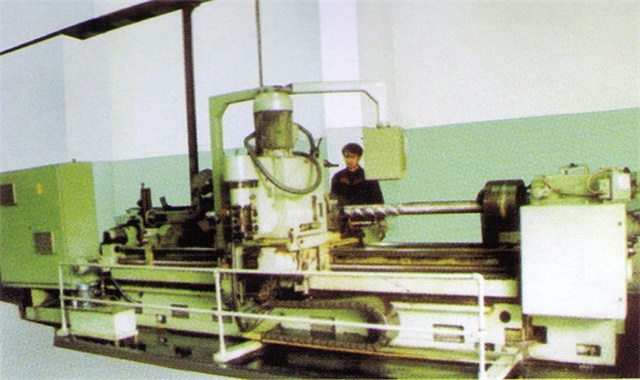 It is able to diplay the change in thickness of any point along the length, only calculate the difference between the extrusion shape and set value, and provide real-time over-limit warning; inquiry and Excel introduction of extrusion information and statistics; printing of information on tread sections. 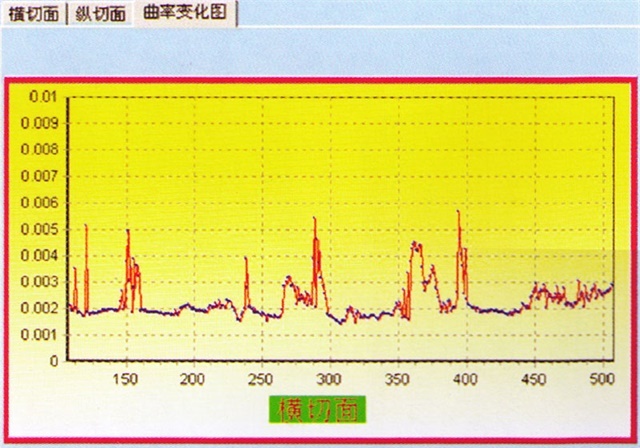 Note: Measuring veracity is associated with max.tread thickness, scanning speed, surface inclination and working method, the max.tread thickness, the max.tread width, the power supply system and the max.scanning speed can be designed according to user's requirements. 1. 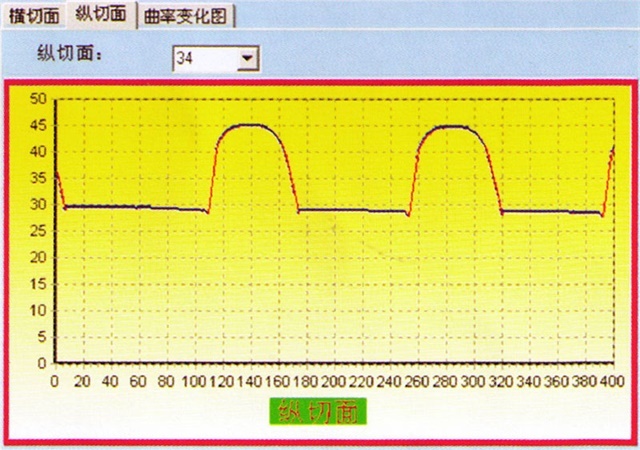 Information collection: when a tire rotates, the height of current monitoring point (relative to the tire axle center) can be calculated on a real time basis according to the position and reading of the laser head. After the tire turns one cycle, the height of one section of the tire can be detected. 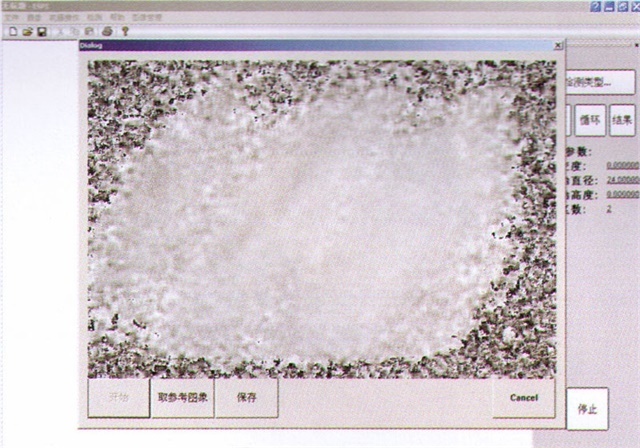 Detection continues after the laser head moves horizontally. In this way, the height of the entire tread can be measured. 2. 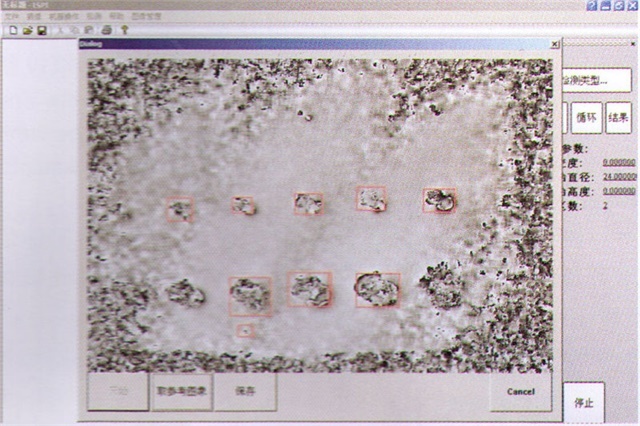 Picture display: summarize the detected data, display traverse sections or longitudinal sections of tire and trace contour pictures according to the detect results. If the circumference of 360 degrees unbended to a plan, A contour picture and plan can also be obtained by comparison of the different value. 3. Calculation and comparison of abrasion data: compared with a standard tread and thus calculate the abrasions at different points. 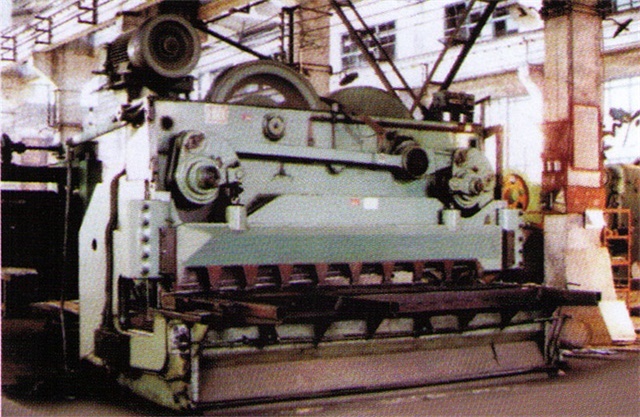 Comparison can also be made between abrasion treads after different mileages. Using different colors to distinguish severity of abrasion. The difference of abrasion can be ascertain. 4. Specification determination: tires with different specifications may vary greatly in outside diameter. The user can set a standard specification for different size tire. Then the laser head is able to move to a proper position automatically according to the preset data so as to get the measurement with optional precision. 5. 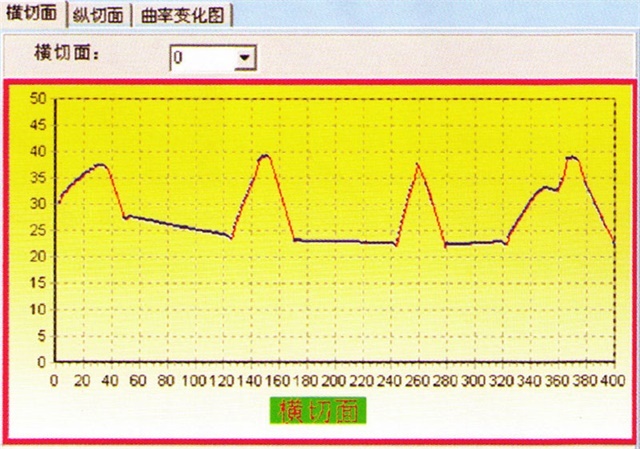 Display of tire curvature: in accordance with detected data, the round degree of tire longitudinal section and change in curvature can be counted. 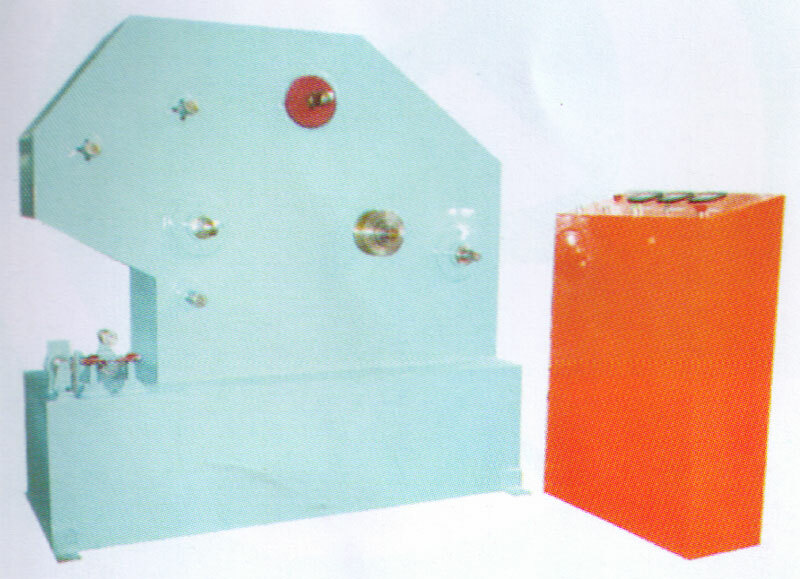 Applications: These series tire abrasion detector/abrasion instrument is applicable to the tire design, research and manufacture enterprises. 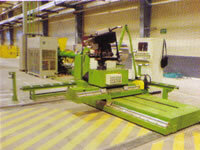 This system is mainly used to inspect the severity of tires. It detects the abrasion of the same tread after running different mileages at the mileage counter, records and compares the datas. 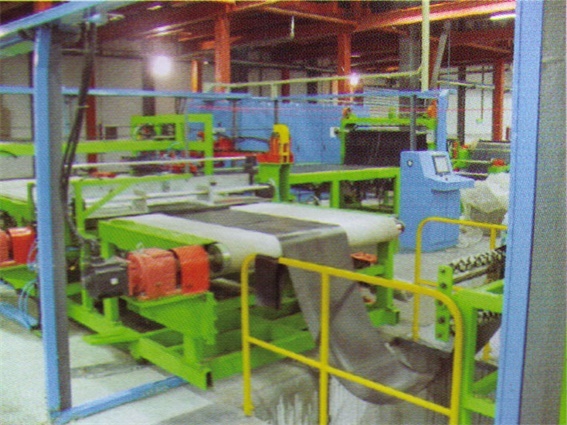 Applications: Applicable to the production of wide and thin rubber sheets, cushion rubber strips in combination with tension free curing of bead apex production line. 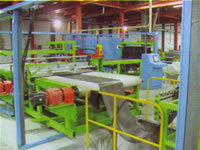 The 0.2mm sheets of strips with width up to about 300mm. It also can be joint researched according to special requirements. 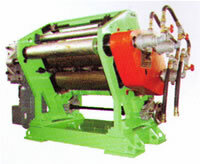 1.2 Roller Speed Max.70rpm, special speed can be set according to production requirements. 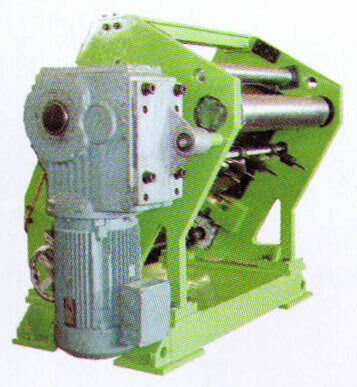 Gearbox Integral SEW Gearbox, K series empty sleeve-shaft gearbox. 1.4 Roller Structure Alloy steel mandrels, chilled cast roller surfaces, Strength and rigidity; chilled cast roller surface; HS70, 10mm thickness of chilling layer, ensuring service life. 1.6 Cutter Manual knife, 2pcs/set, 2 sets. 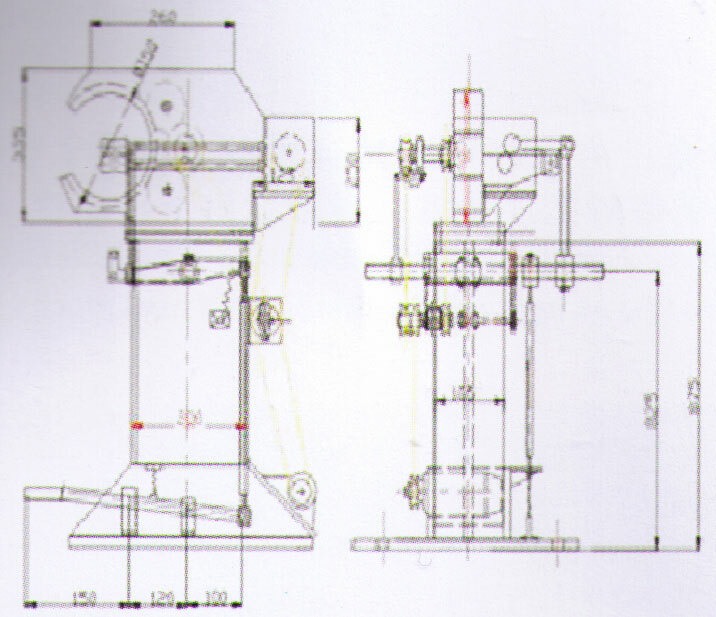 2 Die Designed and manufactured as per use requirements, the changeable mouthpiece clamped through hydraulic pressure. 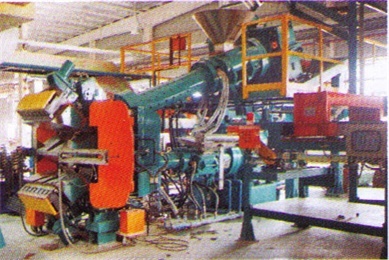 Applications: Applicable for the direct plastification, processing and profiling of compounds at a normal temperature or other processing production, such as extrusion of profiles, inter and outer rubber pipes, extruding for wire and cable cementing, provision of rubber to calendar and feeding rubber strips for OTR tire tread winding. 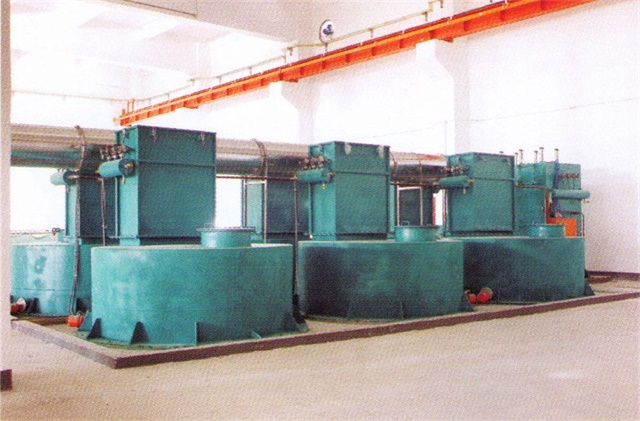 Application: Suitable for mastication, mixing or final compounding from internal mixer of F270/F370, GK400/BB600, and extruding sheets in certain sizes. 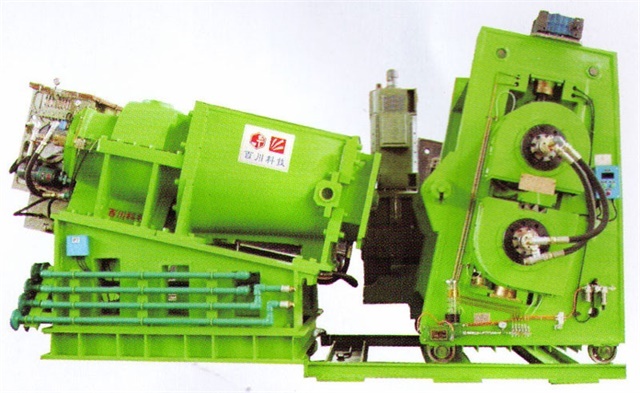 Applications: it can be matched with various domestic & imported mixers of different models and specifications, such as 90, 160, 190, 270, 370 and 400. 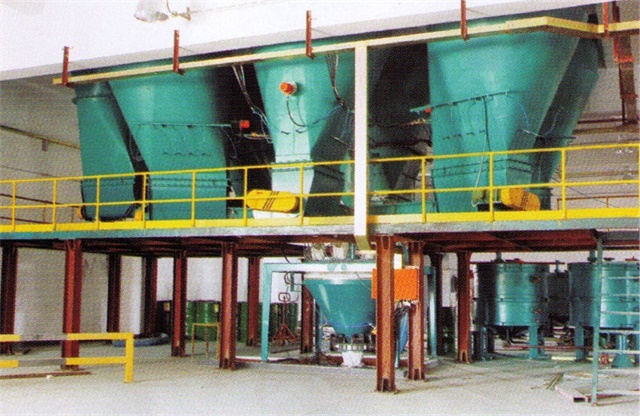 Auto optimization and adjustment of mixing process, overcoming quality fluctuation caused by raw materials, environment condition and other factors. 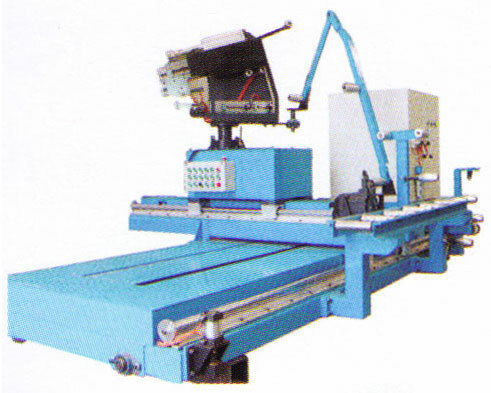 Applications: used for take off components from the duplex extruder, compulsory contraction, breaker strip sticking or transition strip sticking, cooling, fixed length cutting, weighing, pick up and wind up processes. 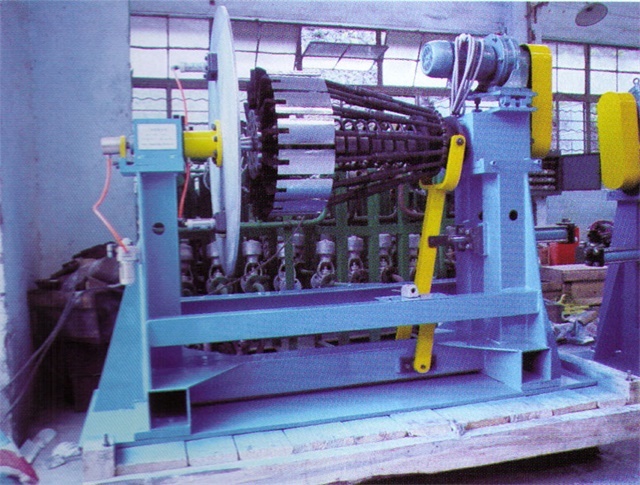 Applications: for ply up breaker strip to tread, It can be incorporated with tread & sidewall extruding train line, also used for calendaring rubber sheets. 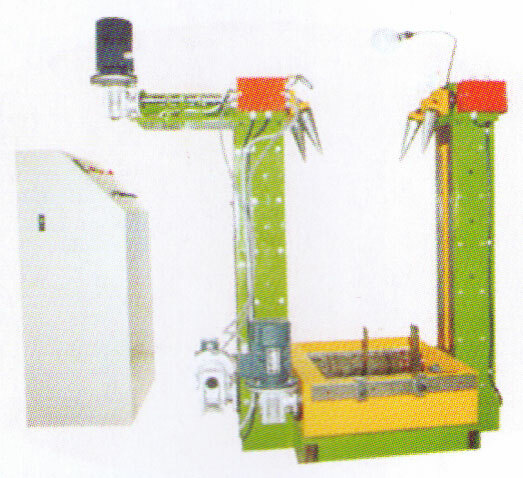 Applications: for producing different profiles and assembled components of tire. 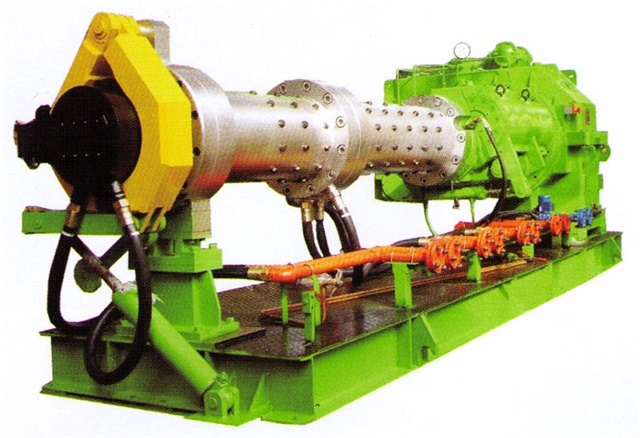 Note: Others combinations of Fi60~Fi250 also can be manufactured according to buyers' requirements. 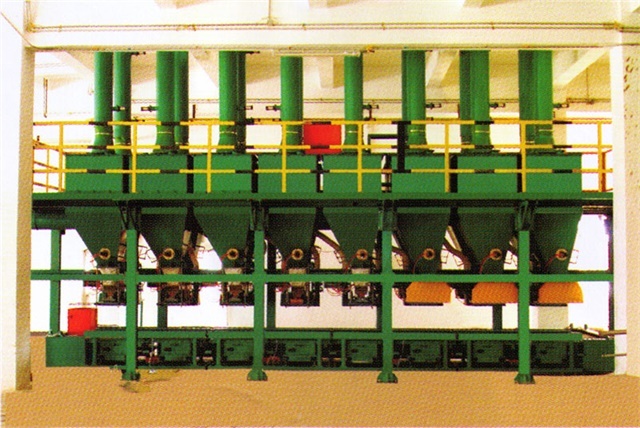 Application Range: Bead with size 12" 38"
Applications: for expanding tire bead in order to inspecting the inner appearance of tire. 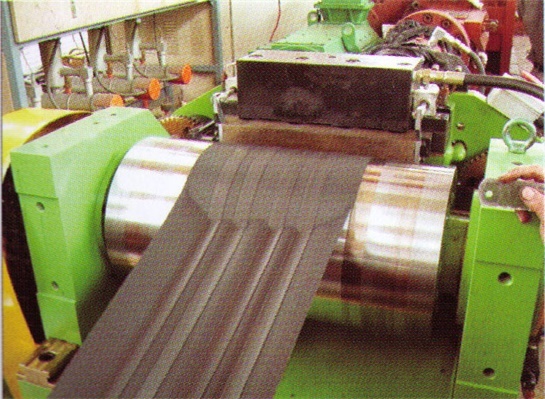 Applications: for slitting the rubber foils with plastic liner into various width as needed then wind-up for next process. 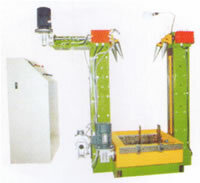 Applications: for applying-up apex to steel bead of radial tyres. 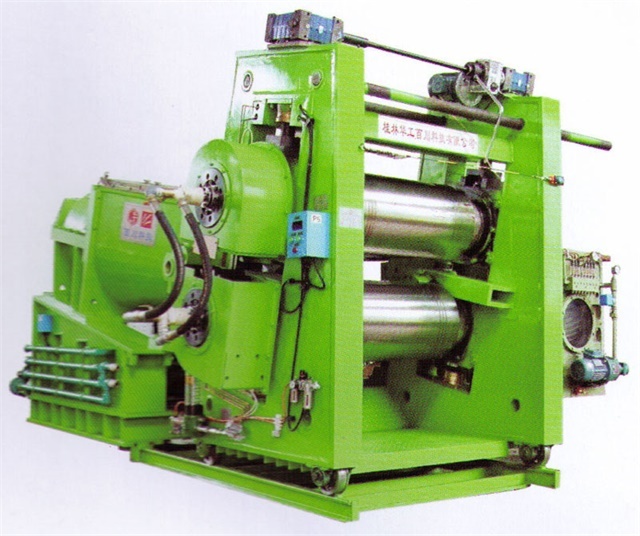 Applications: for turning rubber belt with polyethylene liner from big roll to small roll which would be used on bead wrapping machine. Meanwhile, collecting and winding up the polyethylene liner onto a peel off shaft. 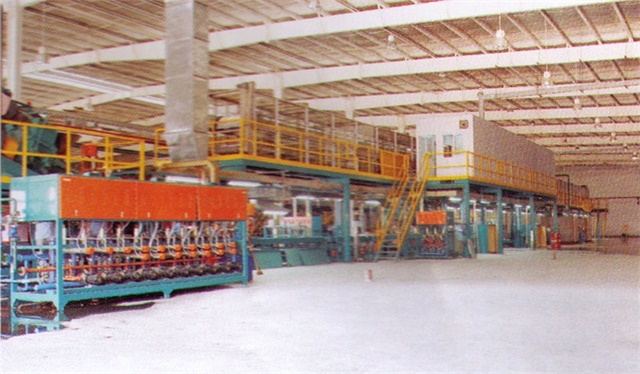 Applications: for slitting coated cord fabric ply into several pieces at certain width, longitudinally on all steel radials tire process. Applications: for spray lubricant and solution on the inner/outer surface of green tires. 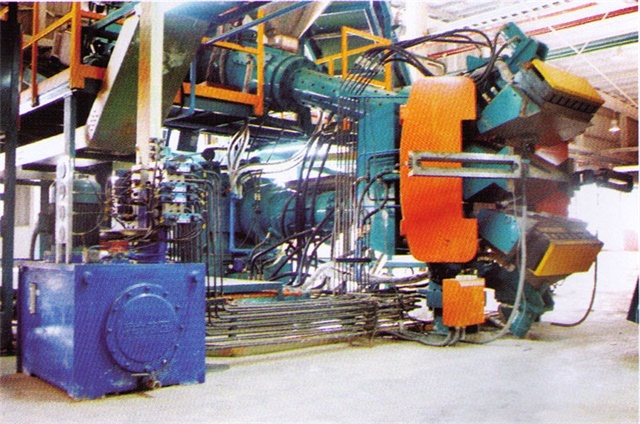 Applications: used for extruding the two parallel steel wires, through arrangement, cementing, traction, cooling, storage and two stations coiling processes, to compose a continuous and automatic 0 degree steel wires belt breaker cementing production line. 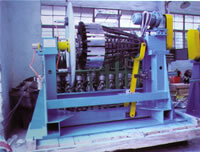 Applications: for slitting textile ply (tyre cord fabric) in longitudinal direction. 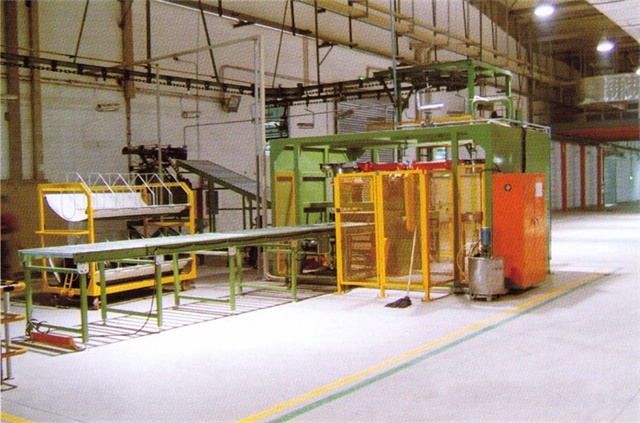 Applications: It is used for conveying extruded & cooled apex strips by a conveyor belt to the apply up machine and adhere tyre apex on bead ring. 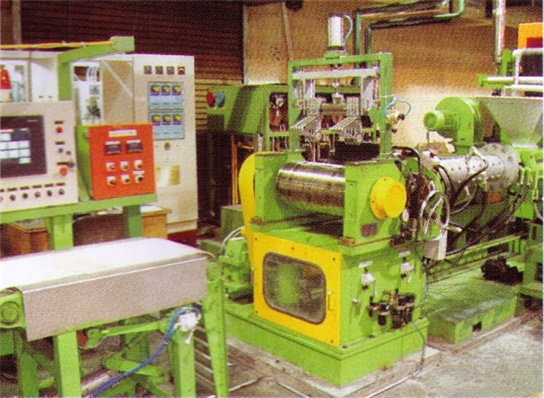 Applications: Cool tyre apex after being extruded from co-extruders, then deliver tyre apex by a conveyer belt to apply up machine for jointing tyre apex onto the bead ring. 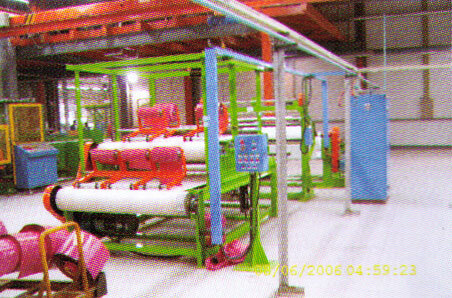 Applications: Applicable to color recurrence of finished tire products. 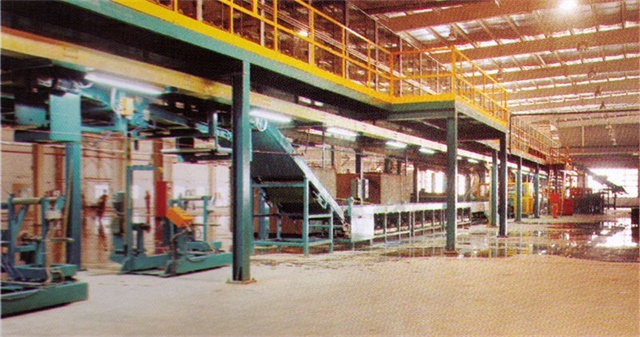 Technical Parameters: Applicable tire specifications of light truck tires and terrain tires varying from R15" to R19.5"
Air Supply: 6Kgf/cm2 dewatered compressed air, diameter of air supply pipe 1"
Applications: To meet the production requirements of automatic weighing and distributing large batches of small powders and granular materials for the tire manufacture, rubber processing, plastic processing, foods and pharmaceutical fields. Characteristics: The system has many advantages such as quick distribution, high precision weighing, simple structure, exact positioning, easy operation, safety, reliability and less pollution. 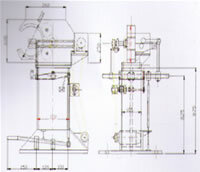 A series of all automatic and semi automatic types of system is available to supply various endusers. 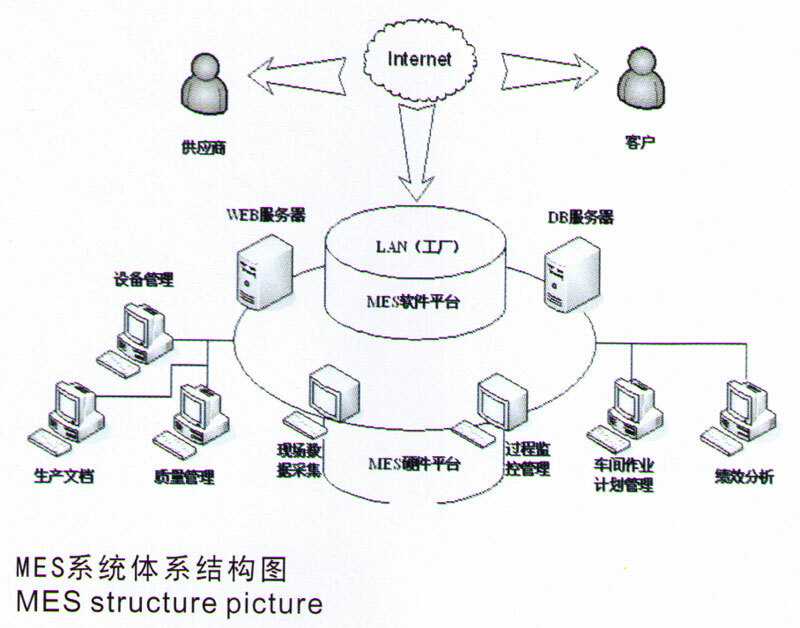 MES, Manufacturing Execution System, which is an execution layer between plan layer and site operation control layer, is mainly in charge of production management and schedule execution. 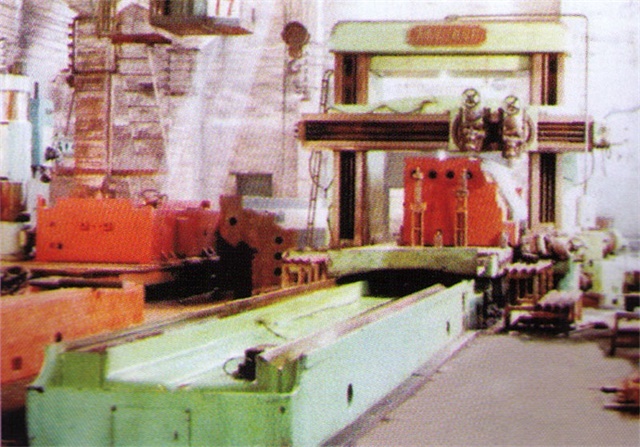 Its main function includes operating plan and arranging production, managing technical specification standard, collecting data, managing production employees, products output managemetn, processes management, maintaining equipments and the following up managements of new products and so on. 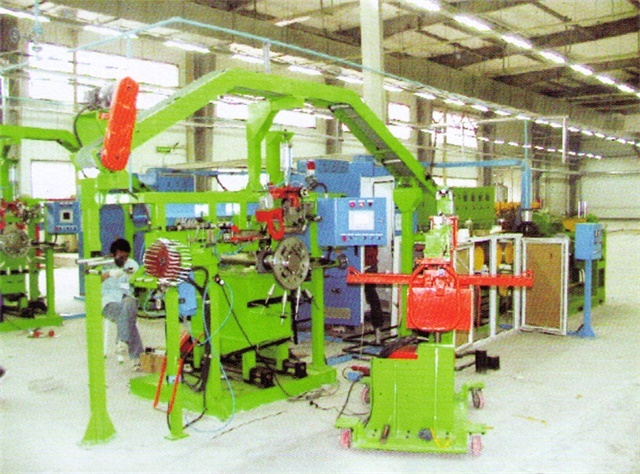 It realizes the remote real time monitoring and control on the running conditions of production equipments. 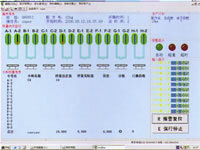 The production plan can be updated remotely at real time, it can get locale process parameters, yield counting information and status of equipments. It not only intensifies decision basis, but also raise response speed on locale accidents, it improves the former condition that information lost, information distortion, information delay in the artificial reports works. 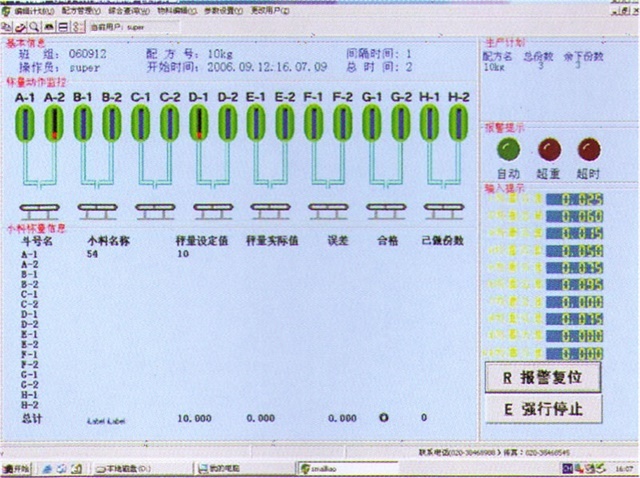 The system has powerful comprehensive inquiry function, it can inquiry parameters of recipes, historical datas, production conditions, quality requirements anytime, so that it is convenient for production quality tracking. 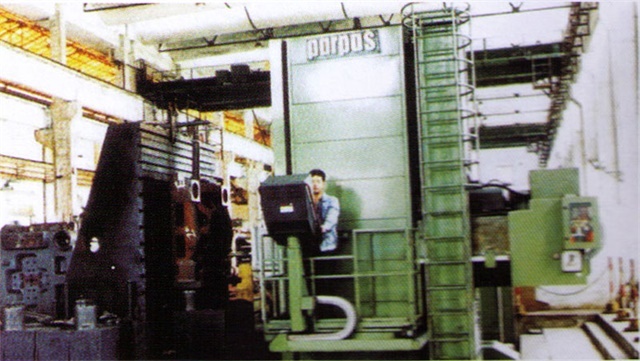 It realizes some functions like inquiry of job handover, absence count, every batch production's quantity count, it improves management level to a higher step. 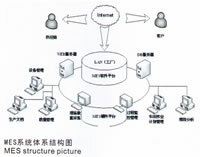 It uses historical datas to build static optimization model, so it can make control strategy on the basis of stable quality and lower energy consumption.